If you have been around toddlers and preschoolers you are probably familiar with "gliding." What is gliding? Gliding is a phonological process that affects the /r/ and /l/ sounds. 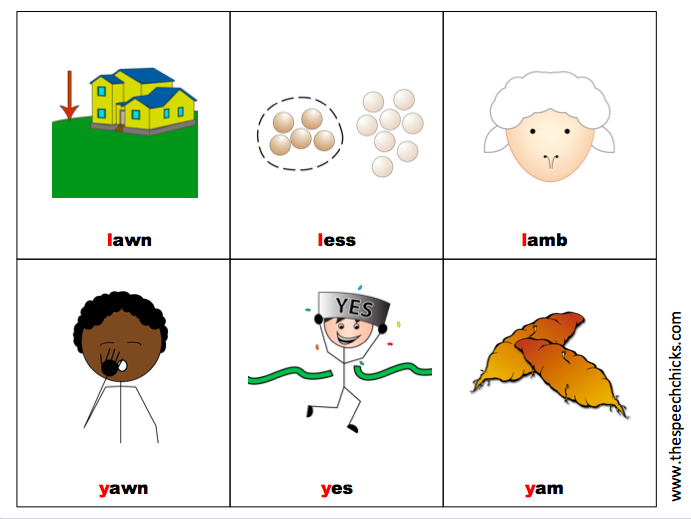 Children with this phonological process substitute the /r/ and /l/ sounds with the /w/ or /y/ sounds. 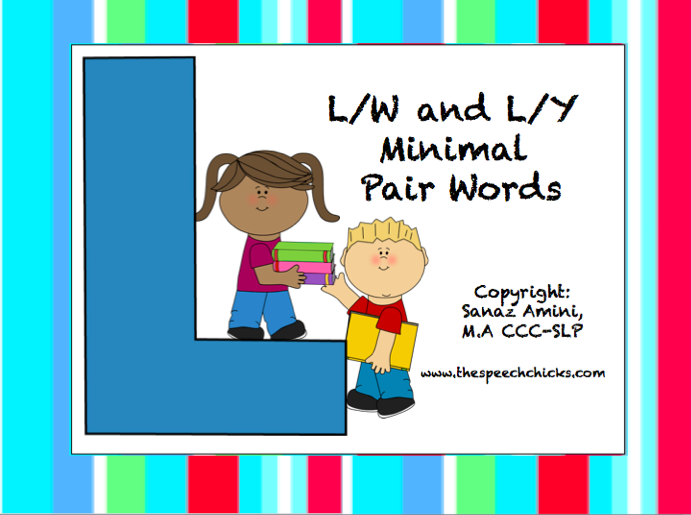 We made a packet with L-W and L-Y minimal pair words to bring attention to this phonological process. 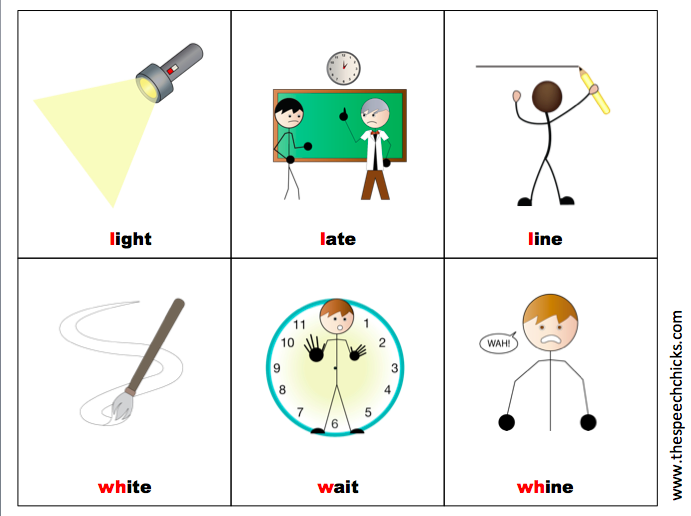 Please follow the instructions in the packet to help your child or student discriminate between these sounds.